Must Be Something in the Water: While Seattle’s Season Circles the Drain, Former Mariners Find Success in New Environments. Posted on June 19, 2010 by Notorious B.U.D. Carlos Silva was an unmitigated disaster in Seattle. In Chicago, the hefty sinker-baller is a star. If you had told me before the 2010 season began that by the middle of June the Mariners would be 10 games out in the division and Carlos Silva would be a top contender for the NL Cy Young award, I would have thought you were crazier than Michael Lohan and Amy Winehouse –combined. Unfortunately, you would have been right. 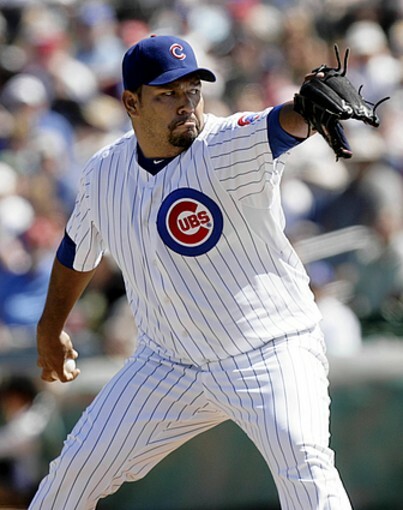 Carlos Silva (Chicago Cubs): After signing a four-year, $48 million dollar contract with the Mariners before the 2008 season, Carlos Silva set out to create a show called “Man vs. Food” in which he took on eating challenges throughout the country, only to discover such a program already existed. Undeterred, Silva devoured record amounts of food any chance he was afforded in the hope that one day, he too would have a shot at fame on the Food Network. 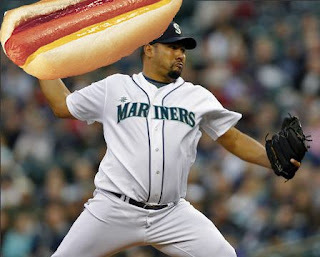 Unfortunately, his increased focus on eating came at the expense of his pitching, and Silva went 5-18 in his two years with the Mariners before the team traded him to the Cubs for Milton Bradley. Since moving to the National League, Silva has rediscovered his mojo, posting an 8-2 record and 3.01 ERA. He returns to Seattle when the Cubs face off against the Mariners next week and fans are encouraged to throw hamburgers and hotdogs in Silva’s direction. It’s only fair. 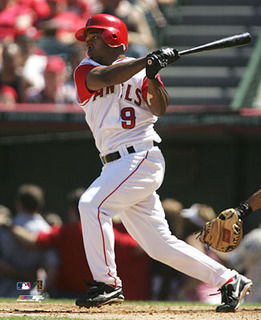 Adrian Beltre (Boston Red Sox): Adrian Beltre joined the Mariners in 2005 after hitting a career-high 48 home runs for the Dodgers the year before (he finished 2nd in MVP voting). In his five seasons with the M’s, Beltre averaged just over 20 home runs per year and never posted a batting average above .276. Beltre wasn’t a total bust because he played through injuries and was one of the best defensive third baseman in baseball, but he certainly didn’t live up to the bloated contract Bill Bavasi handed him. Now, healthy and in a new environment, Beltre is once again a force at the plate, hitting .338 with 10 HR’s and 48 RBI’s in his first 66 games with the Boston Red Sox. It’s not surprising, but that doesn’t make it hurt any less. Since leaving Seattle, Adrian Beltre has regained the form that made him an MVP candidate. 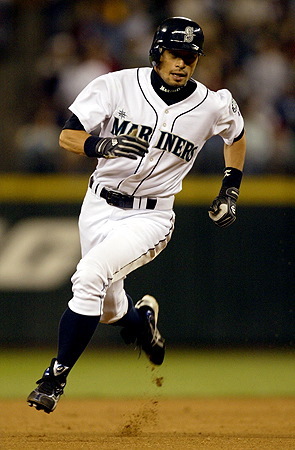 Mike Morse (Washington Nationals): Mike Morse might not be as well-known as some of the other names on this list (he had just 300 AB’s with the Mariners between 2005-08) his ability to hit the ball away from the other team’s defense would be a welcome addition to one of the major’s worst offenses. Morse struggled with injuries during his tenure in Seattle and was traded away last season for Ryan Langerhans (who, as you would suspect, is playing sparsely because of injuries). Finally getting some playing time with Washington, the 28-year-old Morse is hitting .395 with 2 HR’s and 5 RBI’s in 38 AB’s (a small sample size I realize, but he is a .303 career hitter). In Seattle’s defense, Morse looks like a dirtbag, so there’s that. Yeah. R.A. Dickey (New York Mets): The knuckle-balling Dickey was part of the Mariners’ historically bad 2008 campaign (61-101)–a year in which he went 5-8 with a 5.21 ERA. Apparently whatever his knuckleball was supposed to do, it didn’t, because Dickey was battered around all season. Flash forward to 2010 and Dickey is pitching like an ace for the New York Mets. Through his first six starts of the year Dickey is 5-0 with a 2.82 ERA (31 strikeouts in 37 innings) and his knuckleball is dancing like Jessica Alba in Honey. I think the Mariners need to defect to the National League. The NL makes everyone look good. Even R.A. Dickey. Rafael Soriano (Tampa Bay Rays): Despite posting a 2.25 ERA and striking out more than a batter per inning in 2006, Bill Bavasi traded Rafael Soriano to the Braves for the illustrious Horacio Ramirez (who won 8 games in 2007 despite posting a 7.16 ERA and 1.84 WHIP). Soriano was an outstanding relief pitcher for the Braves and has been even better since joining the Rays in 2010 where he is 16 for 16 in save opportunities with a 1.52 ERA. Who could have seen that coming? Oh wait, everyone but Bill Bavasi. I hate that man…I really do. Posted on December 10, 2009 by Notorious B.U.D. 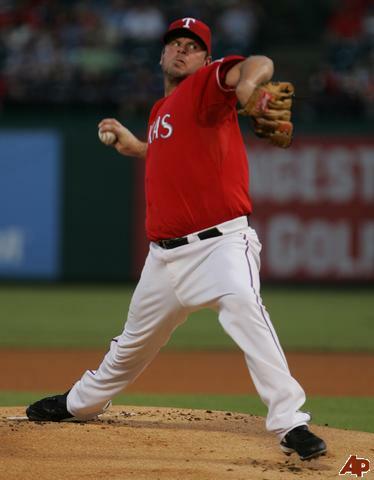 The Rangers sent Kevin Millwood to Baltimore, then signed free-agent Rich Harden the next day. 1) Texas Rangers trade Kevin Millwood and cash to Baltimore Orioles in exchange for Chris Ray: The Texas Rangers have been one of baseball’s busiest teams in the offseason thus far, and they continued that trend by sending former Opening Day starter Millwood and $3 million dollars to the Baltimore Orioles for relievers Chris Ray and Ben Snyder. Millwood was solid in 2009, going 13-10 with a 3.67 ERA but the Rangers were looking to free up salary to sign free-agent Rich Harden (a deal which has since been completed). The 27-year-old Ray is a former closer who struggled to return from elbow surgery last season but has saved 33 games as recently as 2006. The deal gives Baltimore a proven veteran pitcher controlled through 2011 to mentor younger starters David Hernandez, Brian Matsuz and Chris Tillman. 2) Boston Red Sox trade Mike Lowell and cash to Texas in exchange for catching prospect Max Ramirez: The Red Sox freed up third base for next season, possibly in order to sign Adrian Beltre, with today’s trade of Mike Lowell to Texas. The Rangers plan to use the injury-prone Lowell as a DH and first baseman (potentially a platoon partner with Chris Davis). Lowell, a major liability in the field due to hip problems, appeared in just 119 games last year but still hit .290 with 17 HR’s and 75 RBI’s. The Red Sox have also agreed to pay most of Lowell’s $12 million dollar salary for next season if the league approves the deal. In return Boston receives Max Ramirez, a 25-year-old catcher and former Atlanta Braves top prospect, who will likely serve as Victor Martinez’s backup unless the Red Sox decide to shift Martinez to first. The Astros hope Feliz's strong defense will help them return to the postseason. 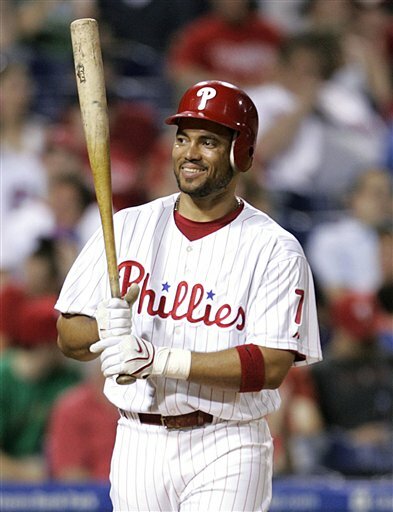 3) Houston Astros sign free-agent third baseman Pedro Feliz: Feliz spent the last two years as the primary third baseman for Philadelphia but with the Phillies acquisition of Placido Polanco, the 2008 World Series champion was left looking for work and Houston happily obliged. The Astros already have Geoff Blum manning the hot corner but would prefer to use his versatility all over the field rather than play him full-time at third. Feliz is a solid defender at third base but is starting to become a liability at the plate after hitting only .266 with 12 HR’s and 88 RBI’s last season. Already 34-years-old, Feliz doesn’t have much in the way of upside and won’t turn a team from pretender to contender, but is a solid if unspectacular pickup (1 year/$4.5 million) for a team on a budget like Houston. 4) Pittsburgh Pirates sign free-agent shortstop Bobby Crosby: An underachieving team signing an underachieving player doesn’t sound like a traditional recipe for success, but so is life for the Pittsburgh Pirates and their fans. Crosby has been in steady decline since winning the AL Rookie of the Year award in 2004 and struggled last year with injuries and inconsistency (.223-6 HR’s-29 RBI’s). The Pirates hope that he can challenge Ronny Cedeno for shortstop and possibly recapture some of his past success, but at only $1 million for next year Pittsburgh isn’t taking that big of a gamble on him…what’s new in Steeltown? 5) Atlanta Braves trade relief pitcher Rafael Soriano to Tampa Bay Rays in exchange for pitcher Jesse Chavez: One of the top right-handed relief pitchers in the National League last season, Tampa Bay acquired Soriano with the idea plugging him in as their full-time closer in 2010. While splitting the closer’s role with Mike Gonzalez in Atlanta last year, Soriano posted a 2.97 ERA and struck out 102 batters in only 75 innings. The Rays had a full-blown closer by committee bullpen in 2009, and if Soriano can stay healthy Tampa Bay will be one step closer to challenging the Yankees and Red Sox for AL East supremacy. The Braves decided to move Soriano after he accepted their arbritation offer which would have cost the team between $7 and $8 million dollars next season if they had kept him. In return, Atlanta acquires an average bullpen arm (Chavez went 1-4, 4.07 ERA in 2009) at a steeply discounted price. Randy Wolf snagged almost $30 million dollars from the Brewers. Is he worth it? 6) Milwaukee Brewers sign free-agent pitcher Randy Wolf: Looking to add stability to their rotation behind ace Yovanni Gallardo, the Brewers have reached an agreement with Randy Wolf on a three-year, $29 million dollar contract. 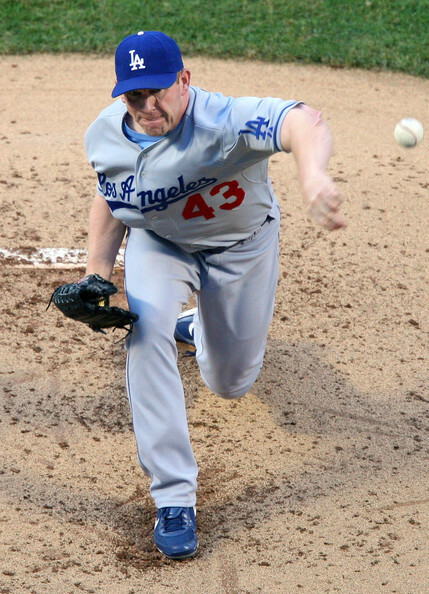 The left-handed Wolf was the Dodgers most consistent pitcher last season, winning 11 games to go along with 160 strikeouts and a 3.23 ERA. However, before last year Wolf only had two other seasons with an ERA below 4.00, and is moving from one of the league’s best pitcher’s parks to one of the worst. The Brewers desperately needed starting pitching, help, but it remains to be seen whether Wolf is the right choice long-term. 7) Texas Rangers sign free-agent pitcher Rich Harden: The ultimate high-risk, high-reward player on the market, Harden is one of the game’s most dominating starting pitchers—when he’s healthy. The deal promises Harden $7.5 million next season with a club option of $11.5 million for 2011. Harden went 9-9 with a 4.09 ERA last year for the Cubs, striking out 171 batters in only 141 innings. Unfortunately, last season was just the third time in his seven-year career that Harden pitched more than 140 innings, and only once has he made more than 30 starts in a single year (2004). If he can stay off the disabled list this could be a major coup for the Rangers, if not, it’s just a very expensive mistake. Posted on June 30, 2009 by Notorious B.U.D. Felix was nearly untouchable in June. AL West Standings: L.A. (42-33); Texas 1.5 GB; Seattle 3.5 GB; Oakland 10.5 GB. Top Hitter: Ichiro continues to tear the cover off the ball, hitting over .400 in June including a streak of 7 straight multi-hit games. He has hit safely in 35 of his last 37 games and looks ready to run away with the AL batting title for the third time in his career. Ichiro also scored 18 runs and stole 8 bases in June, his highest monthly totals of the year in those categories. More importantly, Ichiro looks relaxed around his teammates this season and the talks of him being a clubhouse cancer have quieted down (at least while the Mariners keep winning). Despite missing the first two weeks of the season to a bleeding ulcer, Suzuki is still on pace to become the first player in baseball history with 8 consecutive 200+ hit seasons. Top Pitcher(s): Felix Hernandez is finally starting to pitch like a king ready for his crown, coming off a stellar month of June in which he went 3-0 with a 0.94 (yes, 0.94) ERA while striking out 35 in 38 innings. With the Mariners’ offense struggling to score on a nightly basis the team has needed Hernandez to be a stopper and so far the 23-year-old hurler has answered the call. King Felix has rebounded nicely after a bumpy May and should have a shot at making his first AL All-Star squad. Just as important to the Mariners’ resurgance has been the continued dominance of off-season acquisition David Aardsma. The stud of the Mariners’ pen was perfect in June, converting all 8 save opportunities while not allowing a single run and striking out 20 in 11 innings (and only 4 walks). If Aarsdma can continue to keep his walk total low he should be a long-term answer for the Mariners because he certainly has the stuff to be among the game’s elite closers. Is Junior finally starting to turn the corner at the dish? Biggest Surprise: Despite a negative run differential (296 runs scored/314 runs allowed) the Mariners are two games over .500 and only 3.5 games out in the division. First year manager Don Wakamatsu should receive praise for his effective use of the bullpen which has allowed Seattle to grit out one run games and stay competitive despite the club’s offensive woes. Biggest Disappointment: It’s never a good thing when a player gets hurt—it’s probably something much worse when you’re actually glad a player a did. 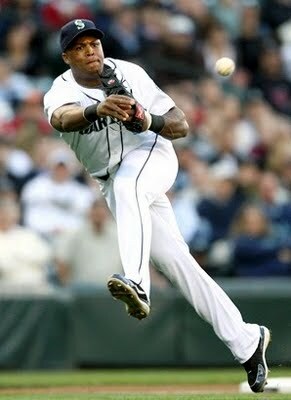 But such is the case with the perpetually underwhelming chipmunk-cheeked SS for Seattle, Yuniesky Betancourt. The M’s shortstop has been nothing less than mediocre the past three seasons, playing average defense at short while hitting around .280 with little power and even less plate discipline (70 BB in 2088 career ABs). Betancourt had been even worse this season, hitting .250 and getting benched by Wakamatsu for his poor work ethic and struggles at the plate. Betancourt was placed on the 15-DL over the weekend with a pulled hamstring, an injury that would be much more exciting if his replacement Ronny Cedeno wasn’t hitting .133. Where the heck is Felix Fermin when you need him? Should the M’s think about giving the Rays a call and asking about Triple-A shortstop Reid Brignac? The M's won't eaily be able to replace Beltre's defense at third after his surgery. Griffey Watch: The Kid continues to “heat up” as the season progresses, improving to a line of .238-4 HR-11 RBI in June (he just missed hitting his 10th HR of the season off Mariano Rivera last night). It doesn’t seem like much, but it’s good to see that there’s still some life left in his bat and Mariners fans hope that he can continue to turn the corner and add some pop to an otherwise listless lineup. Injuries: Endy Chavez (torn ACL–out for year); Adrian Beltre (bone spurs in left shoulder–6 to 8 weeks); Erik Bedard (left shoulder inflammation–due back July 4); Yuniesky Betancourt (hamstring–mid July return); Carlos Silva (nauseau, heartburn, indigestion, upset stomach, diarrhea–no return expected, ever). July Schedule: 2 @ NY; 3 @ Boston; 3 vs Baltimore; 4 vs Texas; All-Star Break; 4 @ Cleveland; 3 @ Detroit; 3 vs Cleveland; 3 vs Toronto; 2 @ Texas. Overall Grade: (A) June was a step in the right direction for Seattle, as the team continued to win close games and the offense began to show some signs of life. The next few weeks will be very important to the Mariners as they will determine whether the team becomes buyers or sellers with the trade deadline looming. Don’t forget to vote for your favorite Mariners to send them to the All-Star game in St. Louis!